Las Vegas, NV, August 24, 2017 –(PR.com)– Is the fear of going to the dentist keeping patients from getting critical healthcare? According to recent studies, the answer is yes. Statistics show that between 9% and 20% of Americans (between 30 and 40 million people) avoid going to the dentist regularly because of Dental Anxiety, the fear of seeking or receiving dental care. This avoidance can lead to more serious health issues such as gum disease and tooth decay. A JADA (Journal of the American Dental Association) report found that a patient’s perception of a dental care experience as painful “… can not only result in poor satisfaction with the therapy but also in the avoidance of necessary treatments, resulting in the deterioration of oral health.” This can lead to negative impact on a dentist’s business, such as revenue loss, lower patient retention rates, and fewer referrals. With this in mind, dentists are increasingly looking to fight the growing problem of dental anxiety by creating a more calming waiting room environment — one that helps mitigate the negative impact of dental anxiety on their business. Enter atmosphere-Healthcare, a new turnkey visual platform with a clear clinical objective — that of calming patients fears where it matters the most — in the waiting room. atmosphere-Healthcare offers a selection of turnkey, installed calming and stress-relieving visual platforms for clinics, waiting rooms, medical and dental practices. 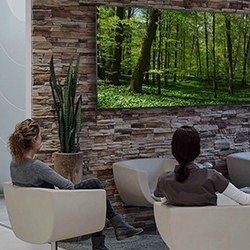 Via an innovative approach to the production of its proprietary content, atmosphere-Healthcare’s UHD (Ultra High Definition) 10-bit screens display realistic impressions of nature in a relaxing and immersive way, specifically produced to help patients to calm down. See the Top 10 Reasons Your Dentist Needs to Use a Relaxation Display System in the waiting room. 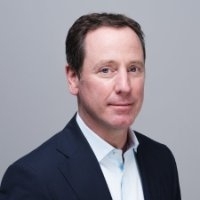 The result is a wide range of patient and doctor benefits, including reduced patient stress levels, the slowing down of patient pulse rates while stabilizing breathing, improved communication between medical staff and patients, and less need for sedatives. Using nature scenes to create a calming effect in a waiting room may not be new, but atmosphere-Healthcare’s approach is. The company utilizes proprietary 4K nature footage (shot at 96 FPS) and displayed in UHD 10-bit format at a slowed-down (30 FPS) pace. The result is a mesmerizing and calming experience that can help dentists garner higher patient satisfaction scores and increased word of mouth referrals, all while lowering the incidence of dental anxiety. · An exclusive selection of the most beautiful and scenic atmosphere nature films. · 20 immersive nature films with a duration of 15 minutes each, for a total playing time of 5 hours. · atmosphere-Healthcare media player© application with all features. · Automatic software updates at no extra charge. · The complete atmosphere-Healthcare films library to date and all upcoming films. · 100 immersing films with a duration of 15 minutes each. Today, as dentists increasingly seek to shift from traditions that contribute to dental anxiety, the atmosphere-Healthcare visual platform brings a refreshing turnkey solution to progressive patient care. A cost-effective approach that can lead to higher patient satisfaction and increased referrals, while leaving the challenges associated with dental anxiety to those practitioners firmly rooted in the past. For more information, visit atmosphere-Healthcare online.